Sports brands, even those that are not official sponsors of the World Cup soccer tournament, are taking full advantage of the global celebrations and fan enthusiasm. 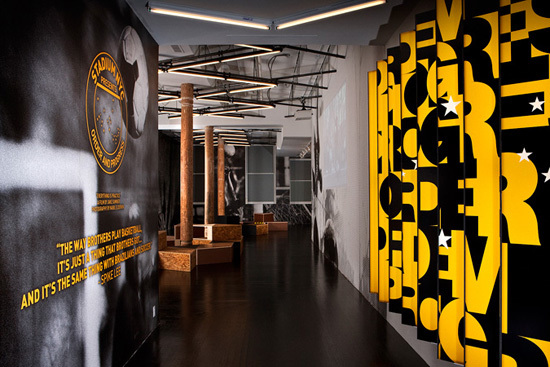 In New York City, Nike is making full creative use of its Nike Stadium NYC, a multi-purpose experiential environment opened at the Browery Stadium in May and designed by New York and London-based architectural firm Rafael de Cárdenas. 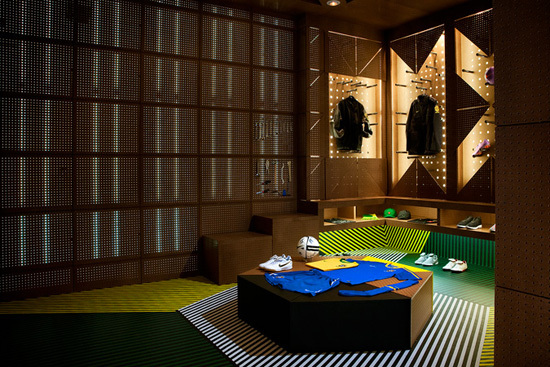 In Nike Stadium NYC, Cárdenas has created a soccer-inspired space that feels right in the New York environment — not glossy or overly sleek, but somewhat lived-in, hard-edged and willing to take some wear and tear. 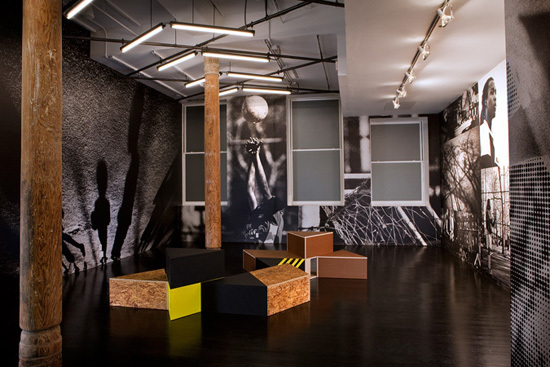 Triangular wooden blocks allow for instant creative modification of the space, as users can stack them, sit on them or create their own seating areas.